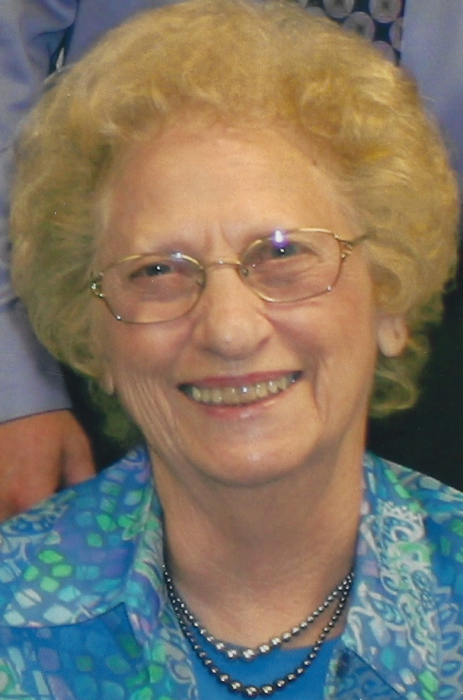 Mary Jean (Rice) Woolard, age 90, of Harrisburg, passed away on Tuesday, April 2, 2019, at Carrier Mills Nursing and Rehabilitation Center. She was born February 6, 1929, in Harrisburg to William Murrell and Alice (Stearns) Rice. Mary Jean married Jim Woolard on June 29, 1961. Together they shared 54 years of marriage. Mary Jean was a teller at the Harrisburg National Bank for many years until her retirement and was a member of Bankston Fork Baptist Church. Mary Jean is survived by her two sons: Keith (Nancy) Woolard and Eric (Toni) Woolard all of Harrisburg; her five grandchildren: Megan (Lamar) Brown of Haines City, Florida; Grayson, Avery, Caroline, and Jake Woolard all of Harrisburg; and one great-granddaughter, Molly Brown of Haines City, Florida. In addition, Mary Jean is survived by one sister, Rieta Bradshaw of Vienna and several special nieces and nephews. Funeral services for Mary Jean Woolard will be held at 10 a.m. Saturday, April 6, 2019, at Reed Funeral Chapel in Harrisburg. Rev. Ron Reed will officiate; burial will follow in Sunset Garden Cemetery. Visitation will be held from 5 to 8 p.m., Friday April 5, 2019 at Reed Funeral Chapel in Harrisburg. In lieu of flowers, the family requests donations be made to the Colbi Z. Cantrell Support Fund. Envelopes will be available at Reed Funeral Chapel. Condolences may be sent to the family through the obituary page at www.reedfuneralchapel.com.